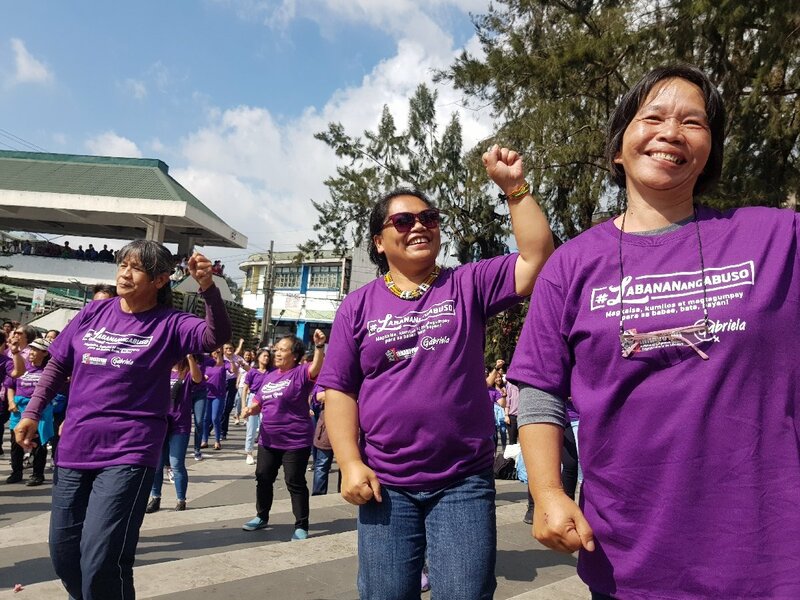 BAGUIO CITY – Hundreds of women, as well as men and children gathered at the Melvin Jones Grandstand here on Friday and called for an end to injustices committed against women and children as the nation joined the global commemoration of International Women’s Day and One Billion Rising (OBR) movement. The participants danced to the beat of the OBR song to show their support to the global movement, which began in 2012 when different countries came together to hold a series of women’s rights initiatives. A 2-day summit was also held here to present the groups’ concerns and draft the Cordillera Women’s Agenda. Among the issues raised in the draft is the demand for affordable living expenses through the revocation of the Tax Reform for Acceleration and Inclusion (TRAIN) Law and the Rice Tariffication Law. The summit’s participants have also been pushing for fair wage and housing projects for the marginalized sector. The agenda will be presented to the candidates of the May midterm elections.